Saving minutes saves lives. At Alameda Health System-Highland Hospital, the East Bay’s only adult Level 1 Trauma Center, fast-acting trauma professionals have been saving lives in Alameda County since 1969. Our Trauma team serves more than 2,600 patients a year from Alameda County and throughout the San Francisco Bay Area. 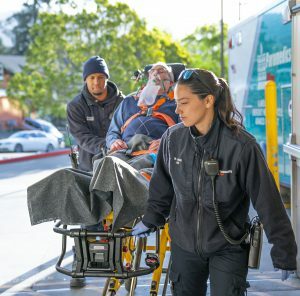 With trauma surgeons, specialists and necessary equipment available around-the-clock, any adult seriously injured in or near Alameda County is taken by Emergency Medical Services to Highland Hospital for the highest possible level of care and expertise. 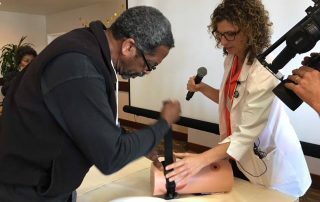 As one of four adult Level 1 Trauma Centers in the San Francisco Bay Area, and one of only 13 in California, Oakland’s Highland Hospital is respected nationwide as a major teaching facility with a residency program that trains the next generation of emergency medicine doctors and trauma surgeons. Almost 70 percent of Highland Hospital’s trauma patients are victims of traffic accidents and seniors with injuries from falls. Injuries resulting from violence make up about 26 percent of Highland’s trauma cases. Highland Hospital general surgeons and specialists in the areas of orthopedic surgery, neurosurgery, anesthesiology, radiology, internal medicine, and oral and maxillofacial surgery are available 24/7. Dedicated state-of-the art trauma operating rooms with committed staff and specialized equipment are available for trauma use around the clock. Highland Hospital is an accredited teaching institution with nationally recognized residency programs in general surgery and specialized surgery. 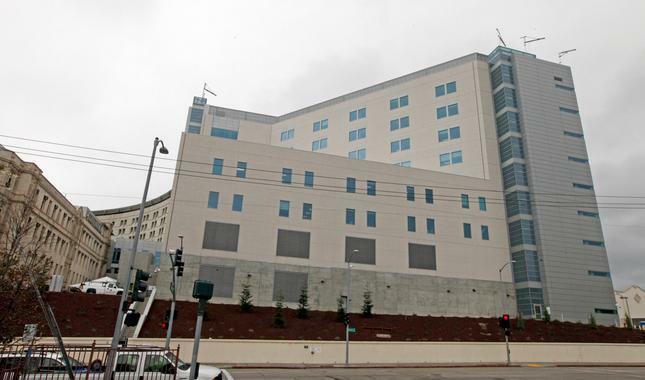 Many Bay Area physicians received their training at Highland Hospital. As an academic medical center, Highland’s Surgery and Emergency Medicine department conducts research and publishes numerous peer reviewed journal articles on trauma and emergency care. Trauma team members are continuously trained, and are proficient in the most current innovations in trauma care. Highland Hospital trauma surgeons are faculty at the University of California, San Francisco. Highland Hospital Trauma Surgeons are instructors for the AHS surgery residency program and are faculty at University of California, San Francisco. The Highland Department of Surgery is the satellite department of the UCSF Department of Surgery, known as UCSF-East Bay. 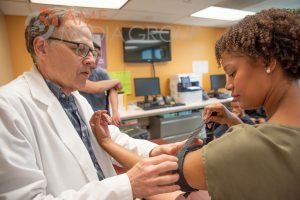 Highland Hospital’s prestigious adult Level 1 Trauma Center designation is partly due to the hospital’s numerous community-wide trauma injury prevention programs. The Highland Hospital trauma staff continually engage with the community organizations to provide trauma-prevention training and equipment to people of all ages–ranging from free child car seat installation, to mobility testing for seniors at the Highland Hospital Fall Prevention Clinic, and every age in between. 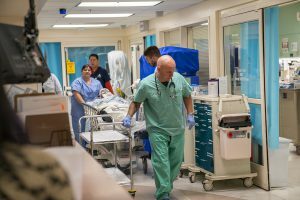 One in three trauma patients admitted to Highland Hospital’s Emergency Department are seniors injured from a fall. Falls are the leading cause of fatal and non-fatal injuries among seniors. Falls threaten their safety and independence. Falls can impact the senior’s life—they can fear falling, and as a result, limit their activities and social engagements, resulting in physician decline, depression, social isolation and feelings of helplessness. However, falling is not an inevitable result of aging. 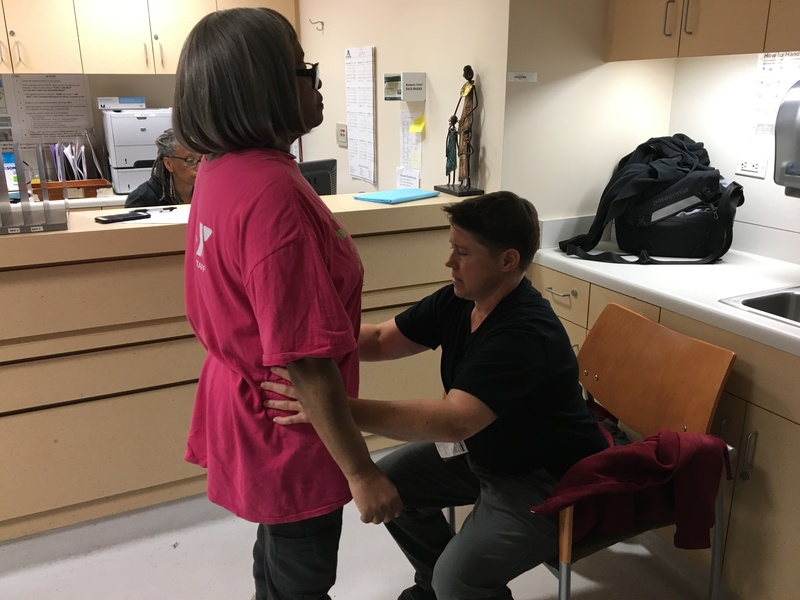 With adjustments to their lifestyle, partnering with community resources, and participating in programs through Highland Hospital’s Fall Prevention Clinic, seniors can gain the confidence and support to increase their independence and become more actively involved in their communities. Wear thin rubber soled shoes with shallow treads. Pick up their feet when walking – walk heel-toe. Avoid rushing – take their time – focus on task at hand. Install grab bars around their tub or shower. Use non-skid strips or tub mats. Eat well and drink plenty of non-caffeinated beverages. Take medications as they are prescribed. Never add medications—even non-prescription/herbal remedies without talking to their doctor. Make sure there is ONE pharmacist who knows about ALL the medications they are taking. Avoid sitting on low furniture – add cushions to raise seat height. Paint the edge of each stair a bright color so they can clearly see it. Avoid wearing long nightgowns or other clothing that they might step on. Never carry items in a way that prevent them from seeing where they are putting their feet. Examine the way they do daily tasks and see if they can develop safer ways to accomplish them (such as carrying laundry or the garbage). Create their own personal “Falls Prevention Program. Mission of the Highland Hospital Fall Prevention Clinic : To identify older adults who are at risk for a fall and provide them with assessments, screenings, education, resources and interventions that will decrease their fall risk and thereby reduce the number of preventable falls suffered by older adults in the county. Patients are eligible to register for the Fall Prevention Clinic only with a referral from their primary care provider. 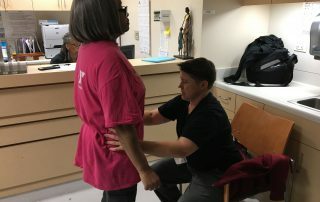 The clinic provides physical and occupational therapy assessments, medication reviews, fall prevention education, and home safety resources for older adults who are assessed at having a high risk of falling. The Fall Prevention Clinic occurs the 2nd and 4th Monday of every month at Highland Hospital, Building K, 6th floor. Trauma is an epidemic in the U.S. as intentional mass casualty incidents continue to rise nationwide. Death due to bleeding can occur in minutes. No longer is knowledge of CPR or First Aid training enough for the general public. The American College of Surgeons (ACS) recommends that the public, as immediate responders, should know how to stop life-threatening bleeding. 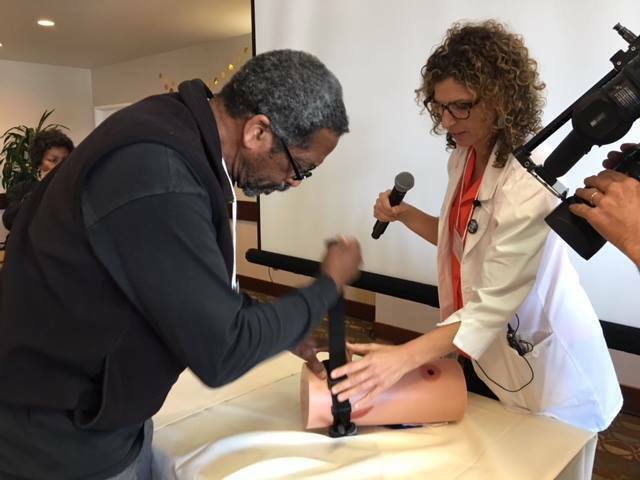 Highland Hospital recognizes the value of training community organizations and the public how to control bleeding by correctly applying pressure or using tourniquets, and offers free community training workshops at its facilities and in central locations throughout its communities. 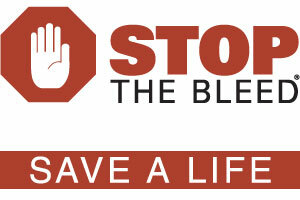 The American College of Surgeons Committee on Trauma and Alameda Health System are committed to the Zero Preventable Deaths and Stop the Bleed campaigns. Screening, Brief Intervention, and Referral to Treatment (SBIRT) is an evidenced-based practice used to identify, reduce and prevent problematic use, abuse and dependence on alcohol and illicit drugs. The SBIRT model is based on an Institute of Medicine recommendation calling for community-based screening for the health-risk behaviors, including substance abuse. Screening – a healthcare professional assesses a patient for risky substance use behaviors using standardized screening tools. The Highland Hospital Child Passenger Safety program educates and creates awareness about child passenger safety to patients of Alameda Health System and residents of Alameda County. The goal of the program is to increase and sustain awareness among caretakers for safety seat and seat belt use for infants and children up to 18 years old. The AHS Trauma division partners with AAA for cars seats for parents of babies born at Highland Hospital who cannot afford to purchase them. Infants spend the majority of their days sleeping, so it is important for new parents to be aware of safety measures while their babies sleep. About 3,500 babies die each year in the United States during sleep because of unsafe sleep environments. 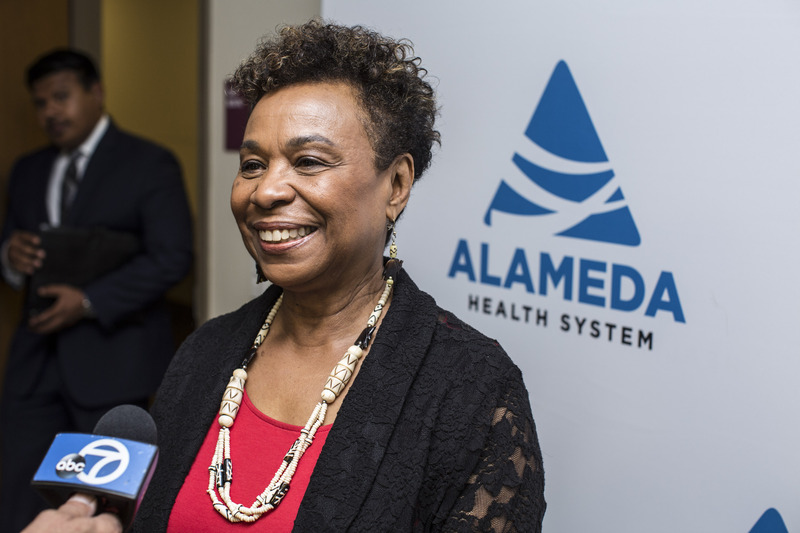 This program is intended to provide staff, and new parents who reside in Alameda County, with updated information from the American Academy of Pediatrics on safe sleep and suffocation prevention. Through Highland Hospital’s Trauma Violence Intervention Program (TVIP), Trauma Prevention medical staff use evidence-based, trauma-informed approaches to care for survivors of violent injury with the aim of reducing violent recidivism or retaliation. 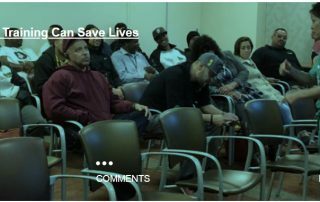 The goal of this program is to reduce the likelihood of repeat violent injury (trauma recidivism) or retaliation for incoming trauma patients who have sustained injuries from physical assault, gunshots or stab wounds. Using the evidence-based intervention strategies and referrals to community-based organizations for employment, educational training, housing, mental health, legal assistance and community services, Highland Hospital staff attempt to guide these trauma patients away from further victimization during their hospitalization.